Deciding where to put your newborn to sleep is never easy. Letting him sleep in a separate room may result in him feeling abandoned or isolated. Putting him on your bed may lead to potential suffocation. What’s the best way to put him to sleep without compromising his safety and your sanity? A co-sleeper might just be the answer to such dilemma. Should you choose co-sleeping, you need to go only for the best co sleeper in order for you and your little one to get some proper shut-eye. However, before we go to that, let’s first talk about co-sleeping, its pros and cons, and how it should be practiced. So, what’s the best co-sleeper for your little one? We’ve compiled here a list of the top-rated co-sleepers on the market today. Carefully study the description and the pros and cons of each and decide which one you think will best suit the needs of your newborn. But of course, as always, we’ll be picking our favorite at the end of the post. The BABYBJORN Cradle lets you lull your baby to sleep with a gentle rocking movement. It features a transparent mesh fabric that allows you to observe your child from a distance. The fabric is also breathable and provides good airflow. The cradle is constructed with a seamless design, which means there are no parts such as bars that may potentially trap your child’s hands and feet. It has wooden legs, each integrated with a stainless steel base. This is a great choice if you’re looking for a sleeper that’s lightweight and easy to move around the house. It’s easy to rock using either hands or feet. It has a wide base, making it almost impossible to tip over. The mattress is firm and encourages proper sleeping posture for your baby. Its height is perfect for your bedside. It comes with a “rock as they move” feature that may be a hindrance if your child is quite sensitive to movement. The canopy is sold separately. 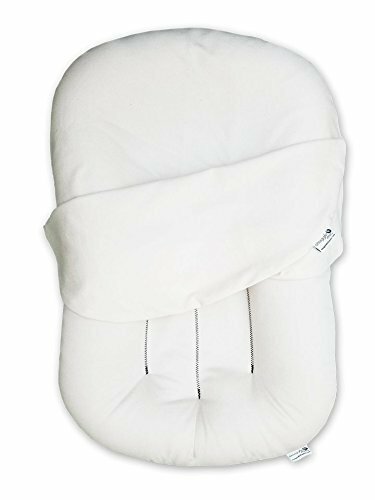 For parents who love organic baby products, the Snuggle Me Co-Sleeping Bed may be an excellent option. 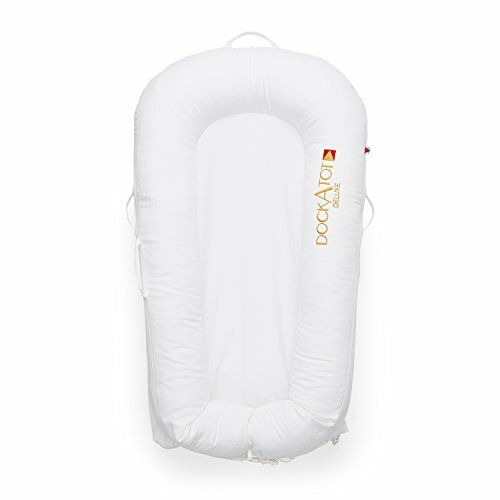 This all-around co-sleeper has a lounger shell and a removable shell that’s made of 100% organic cotton. 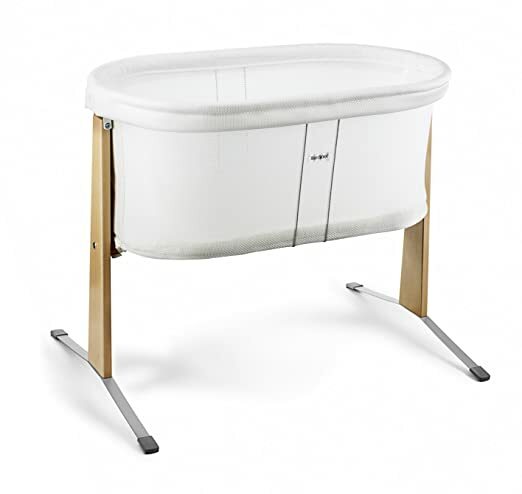 It does not consist any harmful chemicals or flame retardants that are present in most baby bed products. What makes this product unique, though, is its patented center sling. When you lay your baby down on the Snuggle Me bed, the sides of the bed will pull in gently and give your newborn a hugging sensation. The manufacturer is highly rated and trusted. The bed comes with a thick, comfortable pad. It’s very portable and easy to bring when you’re traveling. Excellent for babies who are easily startled. May be a bit expensive for some. It’s a bit on the small side and may not be the best choice if your baby is big for his age. 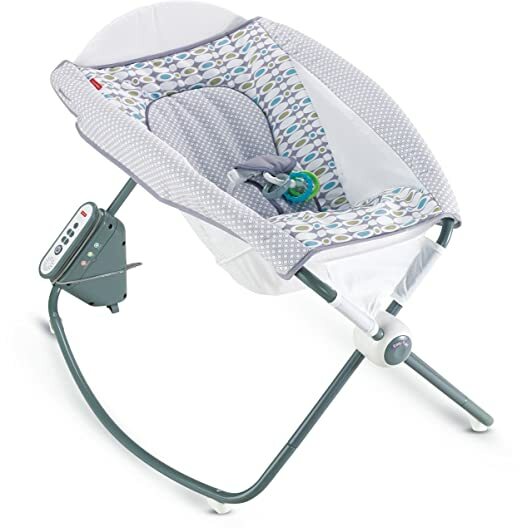 The Fisher-Price Rock ’n Play Sleeper may work well for parents who prefer a bedside cot. It features an extra-deep seat with breathable mesh sides. It’s portable and lightweight and can be easily brought along to trips. It also comes with 12 songs and three sound effects that are designed to help soothe baby to sleep. The bed is slightly inclined, just perfect for colicky babies. The extra-deep seat promotes a hugging sensations for baby. Since it's power operated, it may be a problem later on when the motor stops working. The LulyBoo infant bed is more of a travel bed that could double as a co-sleeper. It also serves as a crib, a bassinet, and a changing station. With its foldable design, it can quickly turn into a backpack in seconds. 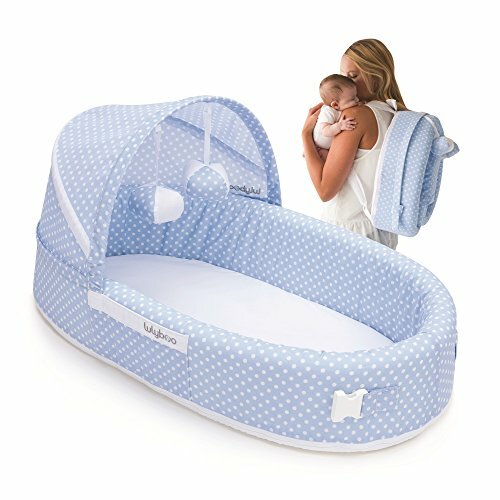 It features a waterproof base that keeps your baby dry. To keep your child entertained, the bed also features an activity bar and two removable toys. 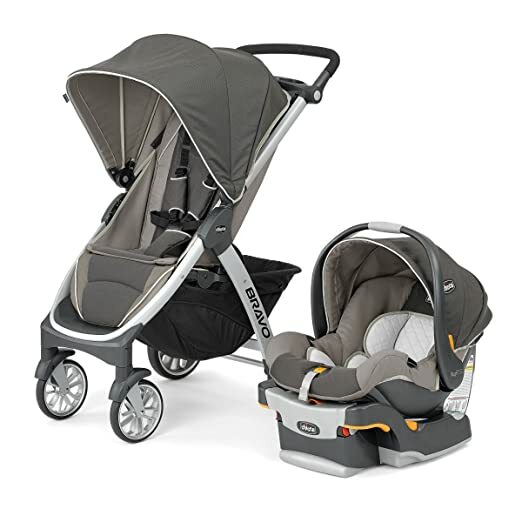 Most importantly, it comes with a canopy that keeps your baby shaded and protected. It’s very easy to pack and carry. The hood and the hanging toys are detachable. 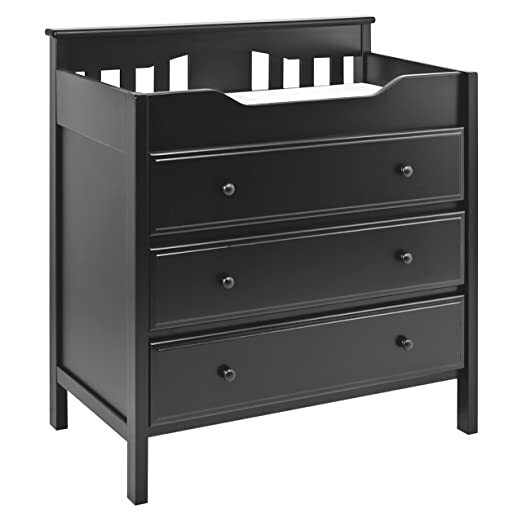 The slim design lets you save space whether on the bed or the changing table. While it can double as a co-sleeper, the sides are a bit squishy and may collapse when you accidentally lean on it during sleep. The canopy is detachable, but it doesn’t fold down and may have a tendency to come loose and fall off. The DockATot is considered a versatile baby lounger where your baby can play, cuddle, rest, and sleep. 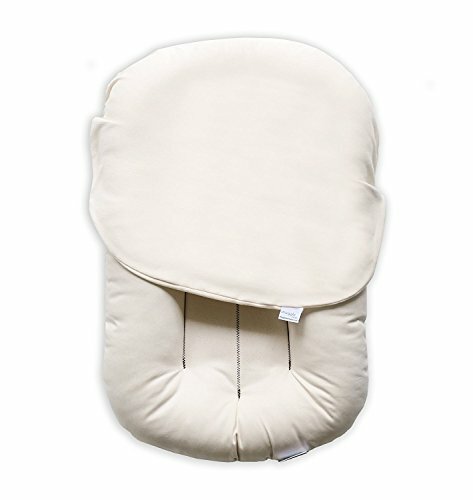 It’s designed to offer a snug and soothing environment for babies and features hypoallergenic fabric with good air-permeability. The product doesn’t come with add-ons such as buckles, canopies, or toys, which according to the manufacturer can either be a distraction or a safety hazard. It’s a good option for parents who prefer an all-around infant bed that’s straightforward and efficient. The bed is lightweight and portable and comes with a handle, making it very easy to set up and carry around. It can be integrated with the CloudTot (sold separately), an app-enabled monitor that gently nudges baby when he hasn’t moved for 12 seconds, as well as alert parents when the bed is wet. 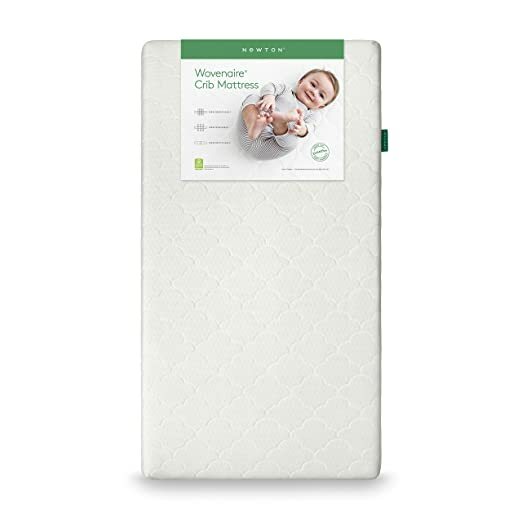 The DockATot has received several safety certifications. READ Check Out Our List Of The Best Baby Wipes That Are Safe And All-Natural! 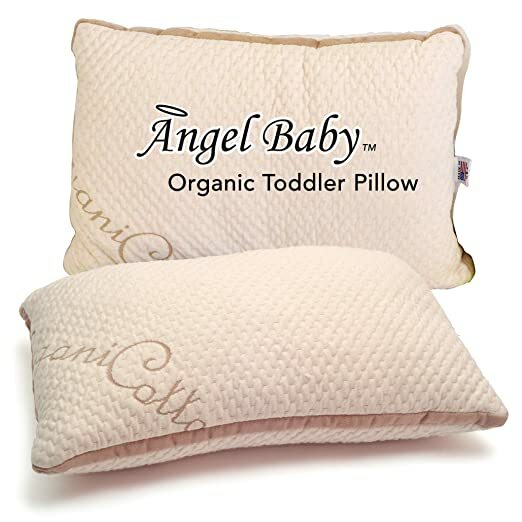 May be quite expensive for the most part, so you’ll just have a pricey pillow lying around your house in case your baby doesn’t want to sleep in it anymore. The features offered by each of our candidates make all of them really admirable. However, it seems clear that the Snuggle Me Organic Co-Sleeping Bed wins this round. The fact that it’s made of organic material is already a huge plus, and since it’s made by a highly trusted manufacturer, you can be sure of its overall quality. We also love the fact that the sides gently pull in to hug your baby when he’s being lain on the bed. 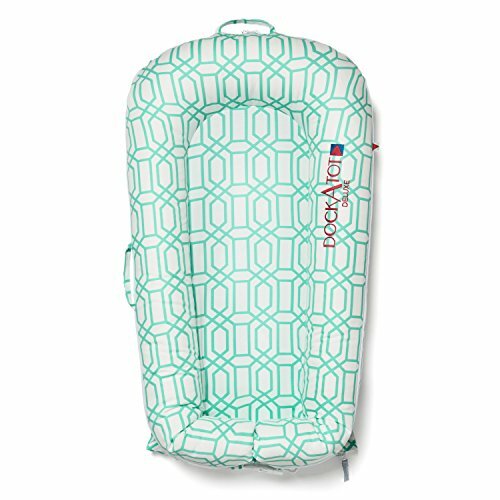 Moreover, the lightweight and portable design really make it an excellent co-sleeping aid. Finally, compared to co-sleepers offered by other brands, it seems more affordable and offers greater value for money. If you want to see the Snuggle Me in action, here’s a quick video of Dr. Meghan Birt talking about the said co-sleeping bed. Co-sleeping is sleeping in close proximity to your baby or young children, as opposed to sleeping separately. The idea of co-sleeping is that both parents and children sense each other’s presence. Contrary to popular belief, co-sleeping is not the same as bed-sharing, which means you can sleep in the same room with your baby without having to share the bed with him. The American Academy of Pediatrics encourages the former, but not the latter, as bed-sharing has been found to be one of the most important risk factors for SIDS or sudden infant death syndrome, although bed-sharing alone has not been found to increase the risk of infant death. Co-sleeping is a parenting practice that’s surrounded by a lot of controversies, but when done properly, it can actually be a good option for some families. We’ve already talked about the pros and cons of room-sharing, and we’ve learned that while it’s good for the well-being of the child, it also has some drawbacks. However, I personally agree with the idea that newborns should sleep in the same room as their parents until they are six months old. Whether it’s your first time to try room-sharing or have already been doing it, here are some tips to make it work for your family. Communicate with people involved. There should be an agreement between you and your partner first before you make any decision for the family, and that includes whether you’re going to share the room with your newborn or not. If you have older kids already sharing the room with you, you should also communicate with them, telling them that there is a new addition to the family and that he’ll be sleeping in the same room, too. Explain to them that the new baby may cry in the middle of the night sometimes and that they should enter and exit the room quietly when the baby is sleeping. Give each child his own space. Privacy may not be a concern for an infant, but it might be for toddlers and older kids. If you have older kids sharing your room, it might be better to give each of them his own space. Depending on the size of the room, this might mean providing each child his own bed, nightstand, dresser, etc. Baby-proof the room. Baby-proofing the room is a must, especially if you have toddlers sharing the room with your newborn. Make sure you keep small toys out of the reach of your baby’s tiny hands and avoid adding furniture with sharp corners. Moreover, explain to your older child how important it is that he keeps small objects out of his younger sibling’s reach as the baby could choke on it. Pick the right co-sleeper. A co-sleeper is the best option if you ever want to share your room with your newborn. It allows you to be as close to your child as possible while sleeping without putting his safety at risk. If you’re planning to place your baby’s co-sleeper on your bed, make sure you consider the size of your bed. If your bed is quite small, you may want to consider investing in one that’s big enough to accommodate a co-sleeper. If that’s not an option for you, then you can opt for a smaller co-sleeper or consider buying one that promotes side-sharing, or one that comes with smooth wheels and can easily be placed beside your bed. Most co-sleepers are designed for babies up to 6 months of age. However, babies may sometimes be too small or too big for their age. To make sure you get the right size, it’s best to consider the weight and size of your baby before deciding which brand and model to pick. Fortunately, most manufacturers provide the age and weight limit to their products. Some co-sleeper models are less expensive than others, but that may also mean they are of lower quality. Your child deserves the best, so make sure you check the overall quality of the product you’re buying before making a purchase. Consider safety features, but see to it that they won’t compromise the comfort of your child. Concerning design, some models come with music and lights. These may help soothe your child to sleep, but they may also be accidentally turned on and startle your baby. Some versions feature a canopy as well. Finally, if you travel a lot, it would make sense to consider a model that’s easy to handle for transport and convenient to store. What about you, beloved readers? What criteria do you use when shopping for baby products such as a co-sleeping bed? Share some tips and advice through the comments section. We would love to hear from you!